Fans of Adventures in Odyssey are wishing the Odyssey Adventure Club a happy birthday as the team commemorates their first year delivering this beloved radio drama digitally to subscribers. Offering 24/7 access to 25 years’ worth of Adventures in Odyssey episodes, the club is a safe, fun environment where children can explore, create and imagine, all while developing their faith and learning biblical truth. 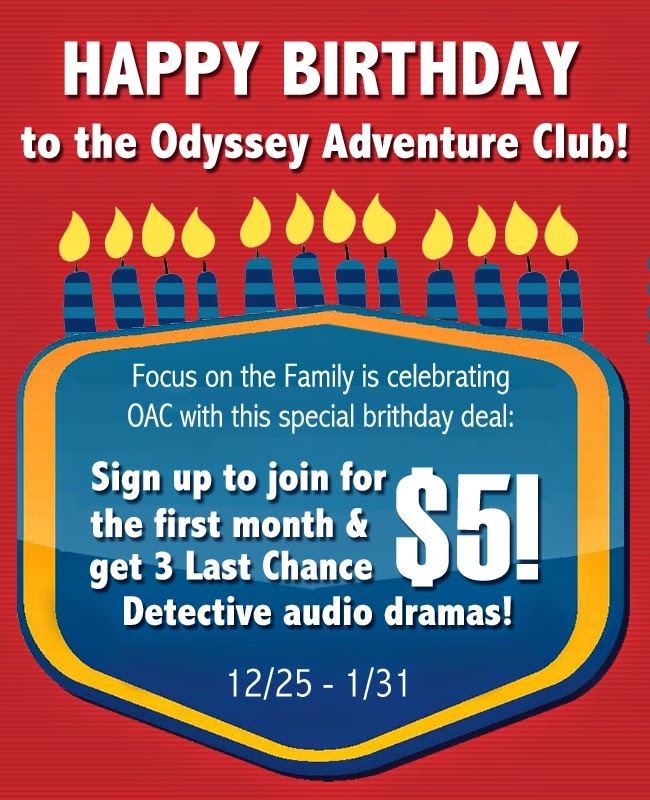 To celebrate, the Odyssey Adventure Club is offering a special promotion: anyone who signs up during January (promo code: BIRTHDAY) will not only receive their first month for only $5, but will also get three Last Chance Detective audio dramas and an Odyssey Adventure Club poster signed by cast and crew members. · 24/7 streaming access to more than 750 Adventures in Odyssey episodes (a $1500 retail value). · A new, members-only Adventures in Odyssey episode every month. · A subscription to Adventures in Odyssey Clubhouse Magazine. · A web quest of video stories and online activities reflecting the biblical theme of that month's episode. · On-the-go access with the OAClub mobile iOS app. · Growing access to Odyssey books, a daily devotion, access to select Radio Theatre dramas and more.